First off, I just want to say I don't claim to be an expert at this book thing. I simply love to write, and I love it even more when people enjoy what I write. THAT, and THAT FIRST AND FOREMOST, is what drives me to write. If I didn't love it, I wouldn't do it. Personally, I think if you go indie and expect to have results like John Locke or Amanda Hocking, you're fooling yourself. Their results are atypical. Making money and being indie is kind of an oxymoron starting out, at least. :) All I'm saying is don't quit whatever day job you have. You probably will need to pay the electricity bill to keep your computer humming, and you want to do that to write more. :-P Which brings me to my first point in this "Inner Workings" saga I'm going to embark on (save yourselves and run away now! ): the ever-constant point of conversation, the .99 cent book. There is constant controversy over the .99 cent book. Some say it's good, some say it's bad. I'm not trying to say I know anything that anyone else doesn't, but I'll share my opinions, and I'd love to hear yours. :) I have my initial book, BRIDGER, for .99 on Amazon. I've played with different price points for it, but at the end of the day, my hope is that people enjoy BRIDGER and will pick up my other books because of it. Call it a leap of faith. If they like one, that's usually a good indication that they'll like the others, right? Who knows. But that's the reason BRIDGER is .99. The sequel to BRIDGER will be in the $2.99 range. FORBIDDEN is $2.99. Which brings me to my question: does price indicate the readability or quality of a book? I'd like to think not. I put my books through rounds of beta reading, personal editing, as well as hiring a professional editor. I hire a cover designer and make sure the covers are just as appealing as those books traditionally published. 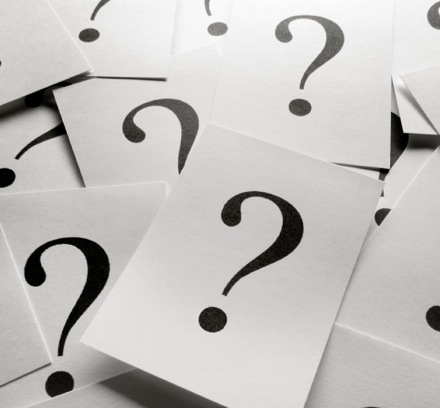 There's a stigma on indie publishers, and we need to do our best to prove that stigma wrong. But, how do we as indie writers compete with traditionally published books if we don't charge less for our books? That's a quandary I've yet to figure out, myself. Then you have the traditionally published eBooks on Amazon that are selling for $7.99 and $8.99. To me, that seems ridiculous, when you can run to Books a Million or Barnes & Noble and pick that same book up in paperback for nearly the same price. I understand that going the traditional route, there are way more people that need to get paid which results in that higher cost. BUT...for the reader, is it worth it? For other writers, is it possible for us to charge that? In my opinion, no. That higher price cuts the opportunity for reads down as an indie writer, I think. **I THINK**. I could be wrong, but that's just my opinion. So how do we compete, unless it's with a cheaper price? What's the "right" price for a book? Many people claim the .99 cent books have a stigma of being poorly done, while others hope it's a jumping off point. Some people claim the $2.99 point is the "perfect" spot for indie writers. Personally, I haven't found a sweet spot for my books yet, but BRIDGER has been increasing in sales each month, and I'm hoping that's an indication of what's to come. I read an article from the Huffington Post that talked about eBooks and indie publishing. The writer made an excellent point. 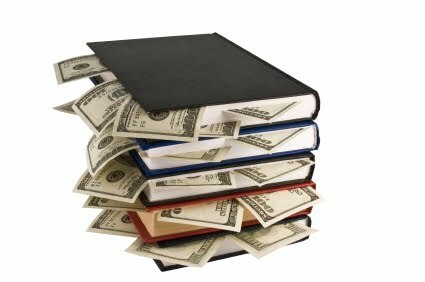 From a writer's standpoint, for the work involved in writing a book, paying for an editor/cover designer, etc., a .99 book hardly makes any of it worth it monetarily. But, from a reader's standpoint, what's a price point that you're willing to take a chance on a writer you haven't heard of before? I'd love to know. For now, I think BRIDGER will stay .99 and FORBIDDEN $2.99, but that's not to say they'll never change. I want to reach my audience as best possible. For me, an electric book shouldn't be expensive. Even if I know the author and it's one of those big house writers, I'm not going to pay 10 bucks for an e-book. I'll go buy the paperback if that's what I want to spend. I'd probably spend up to 5 dollars and feel comfortable. If I don't know the author, but the book sounds promising, .99 seems perfect. I can get several books, try a bunch of new things I'm not sure I'll like. If I like it, awesome, I'll buy from that author again. If I don't, well it was just .99 No big woop. Obviously no one is going to make alot of money on a dollar, but it's about marketing and finding an audience, I think. Well, I've paid .99 cents for self-pubbed and even 8.99 for one self-pubbed book I bought and loved (in spite of the formatting being wonky). For books on the Kindle, I rely on samples and reviews, and if both capture me, then I would not mind at all paying 9.99 for a self-pubbed book. 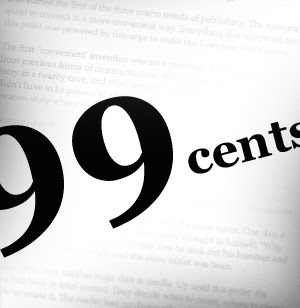 I know publishers charge 9.99 because those dollars go to more than just the writer, but if the book is good to me and overall has a good rating, then I see no issue in paying 9.99. Maybe I'm speaking as someone who buys e-books like candy, but 9.99 is not a big deal price to me, especially for new books that come out in hardcover that are 16 bucks and I don't want to wait for the paperback version to come out. But I find 9.99 justifiable, especially for big publishers because they do have people they need to pay and anything less is ridiculous. I waver on this myself. Just launched my first indie novel yesterday at $2.99, and I was tempted to put it at $1.99, or .99. We'll see how it goes at this price. I'm curious to read about your experience going forward.